A Chinese contributor to the programme explained that riding a bicycle is a working class and driving a car shows that you are an important person. That is why the Chinese landscape architecture profession needs to become involved. Landscape architects can design such safe and beautiful cycle lanes that using them becomes a mark of what used to be the distinghishing characteristic of China’s scholar-officials: GOOD TASTE. Come my Chinese friends and colleagues: show the world what you can do and we should do. Cycle planning should be incorporated with greenway planning and design, in China and everywhere. This entry was posted in Asian gardens and landscapes, Cycle planning, Sustainable design, Urban Design on 31st March 2009 by Tom Turner. The Bruntland Commission may have set back sustainable urban design by half a century with an idiotic definition: “Sustainable development is development that meets the needs of the present without compromising the ability of future generations to meet their own needs” It gives anyone who wants it an excuse for doing nothing and claiming they are acting sustainability. What are my ‘needs’: one bicycle or two cars? And what are ‘needs’ of future generations: no bicycles and three cars? 1. Cities will require less input of water because we are expert in sustainable urban drainage systems – and they will have less output of waste water because we know how to detain and infiltrate water within urban areas. 2. Cities will require less import of construction materials from distant lands because we believe in respecting the Genius Loci and using the local materials which he provides for our use. 3. City building will involve less transport of excavated subsoil to dumps because we will use it design new landforms. 4. Less energy will be required for heating and cooling because we will orientate buildings correctly and design with microclimate. 5. Planting schemes will require less irrigation, less maintenance and less input of chemicals because we will make more use of native plant materials and will make lawns only when they have a social use. 6. People will walk more and cycle more because we will design beautiful and convenient paths – and we will do this before any roads or buildings are planned. 7. When people get more exercise they will have better health, so that the resource inputs for healthcare will also be reduced and we will have less medical waste to dispose of. 8. 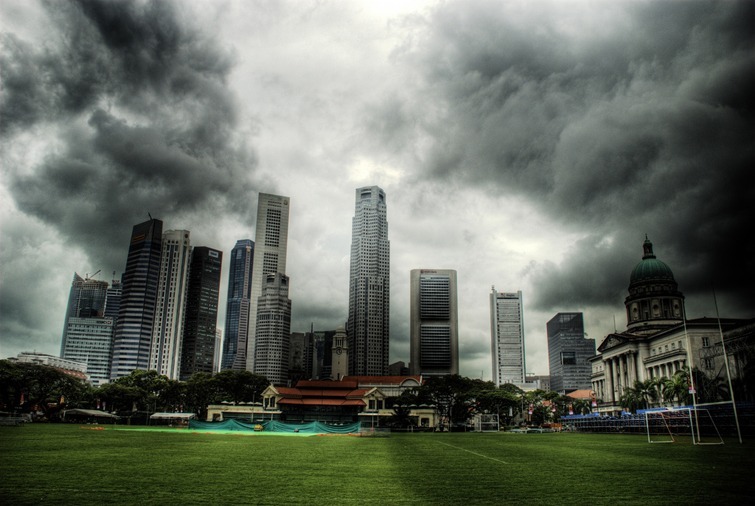 Buildings will be better insulated, because almost all of them will have vegetated roofs, and will therefore require less heating in winter and less cooling in summer. 9. Cities will be more compact because there will be less roadscape, fewer parking lots and less need for greenspace at street level – because we are going to make such wonderful skyparks and skygardens. The inputs and outputs exemplified above are all measureable, just as the distance from the earth to the moon is measurable. 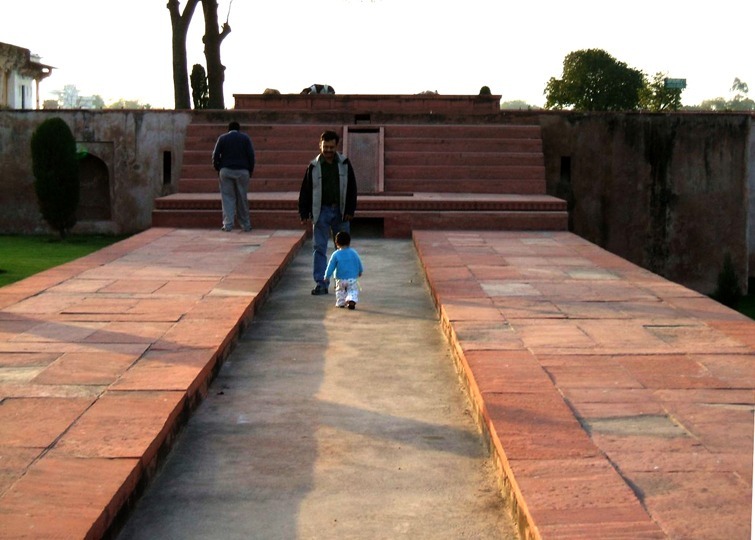 This entry was posted in Landscape Architecture, Sustainable design, Urban Design on 27th March 2009 by Tom Turner. The American Society of Landscape Architects (ASLA) states that “Landscape architecture encompasses the analysis, planning, design, management, and stewardship of the natural and built environments.” For me, there are two problems with this as a definition of landscape architecture: (1) ‘encompasses’ is a weak term – I would prefer a definition of landscape architecture (2) I feel uneasy with the term ‘stewardship’, possibly because my peasant ancestors suffered at the hands of harsh stewards employed by bullying barons. This entry was posted in Landscape Architecture, Sustainable design on 27th March 2009 by Tom Turner. Christine’s question about the influence of French Impressionist painting on the art of garden design has set me thinking. Since writing an essay about Gertrude Jekyll, at college in 1969, I have argued that the painter who most influenced Gertrude Jekyll’s style of planting design was J M W Turner. I still think this is correct but the following comment from Colour Schemes for the Flower Garden has been extremely influential. 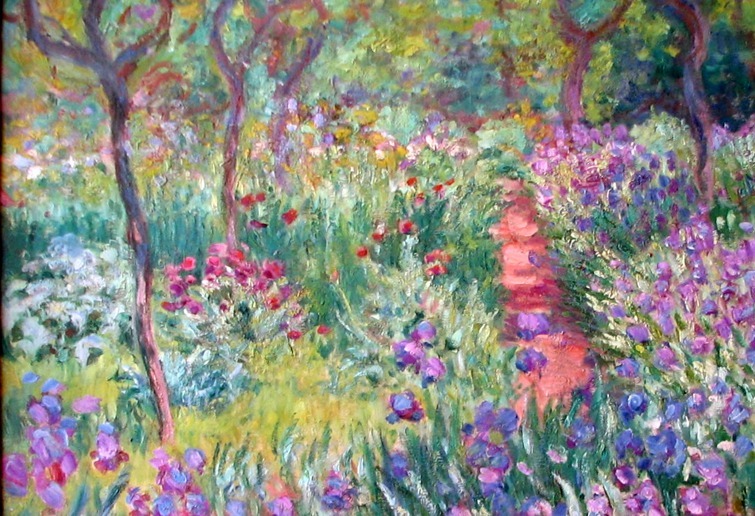 Jekyll wrote that planting design is ‘like having a box of paints from the best colourman, or, to go one step further, it is like having portions of these paints set out upon a palette.’ Once you start thinking about plants as ‘a palette’ of colours, you are on the high road to English Impressionist Planting Design. Monet’s own garden at Giverny was not planted impressionistically but his paintings of the garden are in an impressionist style and, curiously, photographs of the Water Lily Pond at Giverny also have an impressionist character. This entry was posted in Garden Design, garden history on 24th March 2009 by Tom Turner. I came across this definition today, from a large UK landscape practice: “a sustainable urban landscape achieves the correct balance between environmental, economic and social needs” and regret that it is not helpful. It does not tell us how to find a ‘balance’ and it implies that landscape architects, assuming they are to be involved, have some kind of knowledge, skill or training which lets them decide what is ‘correct’. A much better definition is required if we are to have better designs for sustainable landscapes. 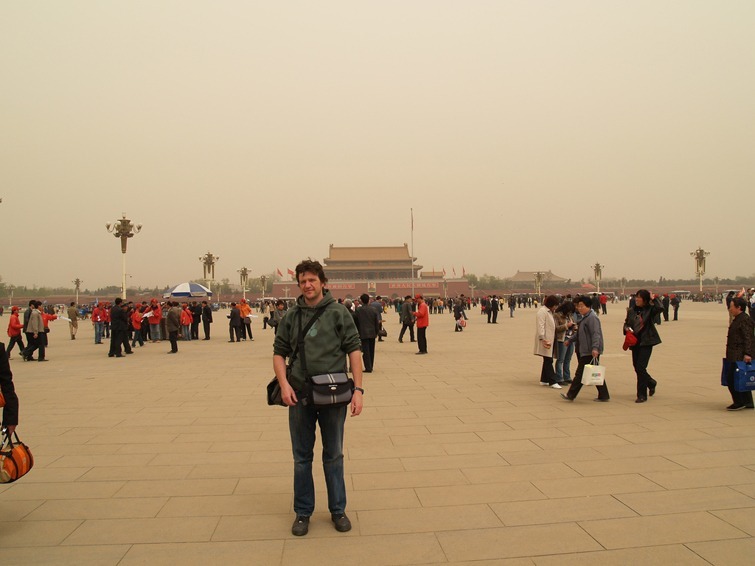 This entry was posted in Sustainable design on 20th March 2009 by Tom Turner. As guessed, the rumpus was a publicity stunt exercise in TV dramatics. The BBC and the National Trust knew when they were planning the TV series on Sissinghurst that Adam Nicholson and Sarah Raven’s ideas were going to be accepted. So in Episode 8 of the longest-running docudrama in the first 5,000 years of garden history, we saw some of the farm land being used to grow vegetables and Sly Steve in the kitchen admitting that Sarah’s Moroccan Lamb had been popular with the guests. http://www.bbc.co.uk/iplayer/episode/b00jclx2/Sissinghurst_Episode_8/ Adam shoehorned in a final attempt to make Sissinghurst into the World’s Lesbian Capital or, at least, the World’s Sexiest Garden (with the line “Harold Nicholson loved Morocco more than any place on earth. He often had an affair there”). Adam Nicholson also remarked that “Writing is the family business. Butchers chop up pigs. We write books.” Nicely put, but was he laying a foundation for a new family business: TV? Watch this space. PS Why does the National Trust want publicity for Sissinghurst? To attract more visitors and to have more money to spend. 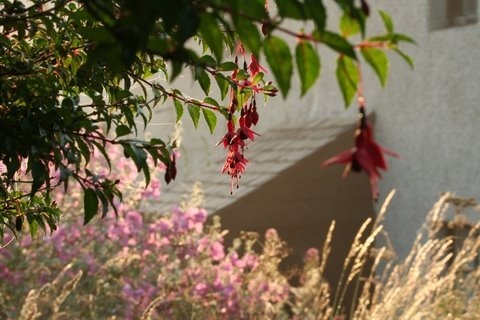 But to conserve the garden’s character it needs less publicity and fewer visitors. This entry was posted in Garden Design, Garden travel and tours, Historic garden restoration, national trust gardens on 17th March 2009 by Tom Turner. The corrective to these Seven Deadly Design Sins should be gulping that wonderful Asian virtue – HARMONY. History matters, theory matters, science matters, beliefs matter, profit matters, ecology matters, design matters, people matter -we all matter! This entry was posted in Asian gardens and landscapes, context-sensitive design, Garden Design, Garden Visiting, Historic garden restoration, Landscape Architecture, Sustainable design on 14th March 2009 by Tom Turner. 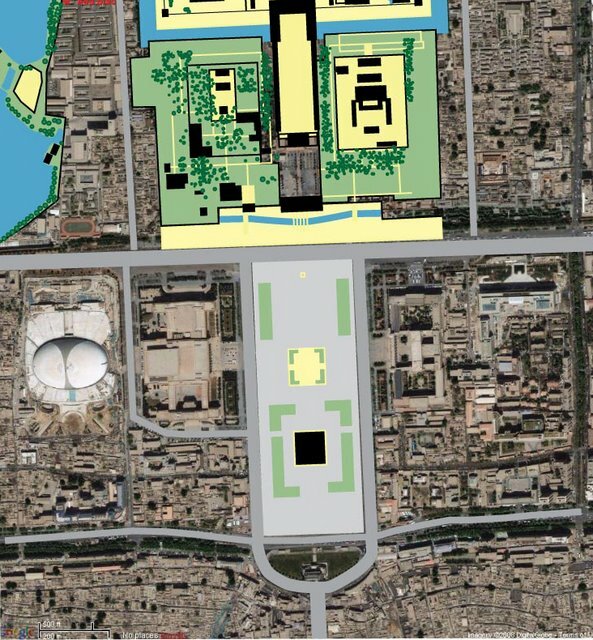 the landscape design of the new square was horrific: it has scarcely any use, scarcely any beauty, and is totally unsuited to Beijing’s climate. People just stand around with nothing to do but take ‘I was there’ photographs of each other. This entry was posted in Asian gardens and landscapes, context-sensitive design, Garden Design, Landscape Architecture on 12th March 2009 by Tom Turner. And gates aglow with lazulite. Whose boughs with varied fruitage glow. Within that palace Maya placed a peerless tank, and in that tank were lotuses with leaves of dark-coloured gems and stalks of bright jewels, and other flowers also of golden leaves. And aquatic fowls of various species sported on its bosom. Itself variegated with full-blown lotuses and stocked with fishes and tortoises of golden hue, its bottom was without mud and its water transparent. There was a flight of crystal stairs leading from the banks to the edge of the water. 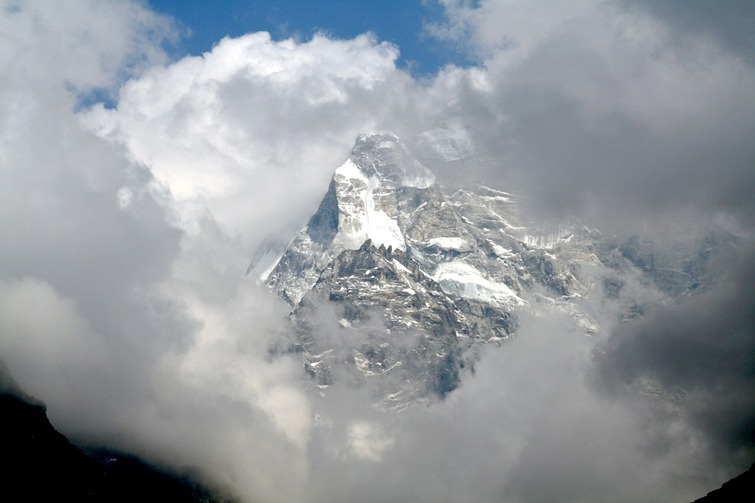 The gentle breezes that swept along its bosom softly shook the flowers that studded it. The banks of that tank were overlaid with slabs of costly marble set with pearls. And beholding that tank thus adorned all around with jewels and precious stones, many kings that came there mistook it for land and fell into it with eyes open. Many tall trees of various kinds were planted all around the palace. Of green foliage and cool shade, and ever blossoming, they were all very charming to behold. Artificial woods were laid around, always emitting a delicious fragrance. And there were many tanks also that were adorned with swans and Karandavas and Chakravakas (Brahminy ducks) in the grounds lying about the mansion. And the breeze bearing the fragrance of lotuses growing in water and (of those growing on land) ministered unto the pleasure and happiness of the Pandavas. And Maya having constructed such a palatial hall within fourteen months, reported its completion unto Yudhishthira. This entry was posted in Asian gardens and landscapes, Garden Design, garden history, Historic garden restoration, landscape and garden archaeology on 11th March 2009 by Tom Turner. I heard a rumor that Sennufer’s Garden is to be re-created. This is a project I have dreamed of (see note at foot of page on The Domain of Amun) and I believe it is the best tourism investment Egypt could make. I do not know if it has been arranged but the re-created garden is the type of project which could easily attract funding from a hotel chain, an Arab billionaire or from the Aga Khan Historic Cities Support Programme (HCSP) . Since the garden structures would be of mud brick, the cost would not be exorbitant. The new Sennufer’s garden will be an invaluable contribution to the world’s cultural heritage. If he has a hand in the project, congratulations to Dr. Zahi Hawass (Secretary General, The Supreme Council of Antiquities). A re-creation of the world’s oldest garden would be a wonderful event. 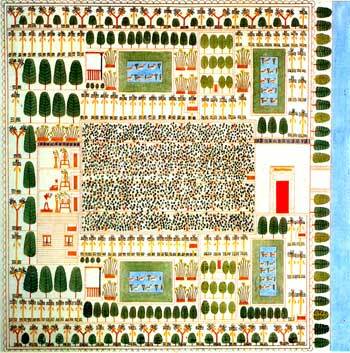 Other Egyptian garden plans survive but Sennufer’s Garden Plan is by far the most sophisticated and in some respects astonishingly modern. See Marie-Luise Gothein’s explanation of the plan of Sennefer’s garden. This entry was posted in Asian gardens and landscapes, Garden Design, garden history, Garden travel and tours, Historic garden restoration, landscape and garden archaeology on 10th March 2009 by Tom Turner. Where was the world's first garden made? Cultivation and the domestication of plants began in the Levantine Corridor, which runs from Dead Sea to the Damascus Basin, and quite probably outside Jericho. This is known because the earliest domesticated plants are all native to this region and radio-carbon dating reveals that horticultural activity began c9,000 BCE. Plants were cultivated by hand and with digging sticks, not with the plough, but the plants cultivated were all cereals and pulses, making ‘farming’ a better description of the activity than ‘gardening’ or ‘horticulture’ in the modern sense of ‘not ploughed’. The first literary evidence of gardening comes from Sumer in Lower Mesopotamia. Gilgamesh mentions that his city (Uruk) was ‘one third gardens’ – but the gardens were were palm orchards. Some flowers may have been grown but the main purpose was growing food and the gardens are unlikely to have been beside houses. People lived on dry mounds (tells) and required irrigation to grow fruit and vegetables. The Garden of Eden was ‘located’ in Sumer but its status is mythological rather than historical. China is another candidate for having made the first gardens but the only places we know of were more like National Parks than anything we would call a garden. Chinese imperial parks were fast tracts of wild landscape set aside for hunting, as at Changan. There were altars in the parks, and pavilions at a later date, and crops were cultivated but they are better described as parks than as ‘gardens’. The next candidate country for having had the ‘world’s first garden’ is Egypt and since the Egyptians had gardens in the exact sense in which the word is now used, ‘Egypt’ is the best answer to the question ‘Where was the world’s first garden made?’ Some temple gardens (sanctuaries, like Karnak) survive in Egypt but the only representations of domestic gardens are paintings and models. The oldest garden layout known to archaeology may be at Passargadae in Iran. So where was Europe’s first garden made? The possibilities are Crete, mainland Greece, Sicily and mainland Italy. The inhabitants of Greece (who did not speak Greek) were cultivators by 7000 BCE, which is 2000 years before the Egyptians, and practiced ornamental horticulture in classical times (500 BCE). 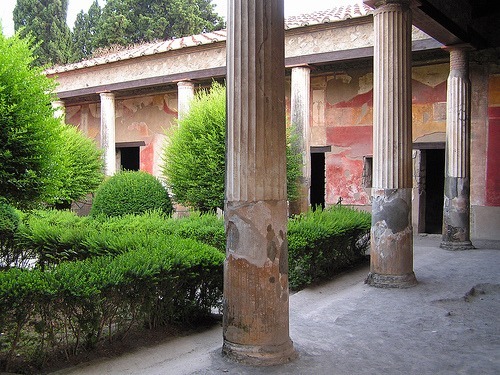 But Europe’s first gardens in the modern sense of enclosed and planted spaces designed in conjunction with dwellings were probably in Italy – and the oldest surviving examples are certainly in Pompeii (above image courtesy John Keogh) with some of them made by Greek-speaking people. This entry was posted in Asian gardens and landscapes, Garden Design, garden history, Historic garden restoration, landscape and garden archaeology on 9th March 2009 by Tom Turner. This entry was posted in Asian gardens and landscapes, garden history on 8th March 2009 by Tom Turner. Weddle was a wise man and I often quote another of his remarks. In Techniques of landscape architecture he wrote that the landscape profession is distinguished from its related professions by looking beyond their ‘closely drawn technical limits’ and ‘narrowly drawn territorial boundaries’. Though not quite what he had in mind, I have taken his advice in Asian gardens by relating garden design to the religions, mountains, forests, deserts, social customs, art and architecture of Asia. As you can imagine, this has involved a number of topics in which I might wish to have more expertise. Ananda Coomaraswamy would have been a good man for the job, helped by one of his photographer wives and his ability to think in English, Hindi, Greek, Latin, Sanskrit, Pali, Persian and Chinese. This entry was posted in Asian gardens and landscapes, Garden Design, garden history, Garden Visiting, Landscape Architecture, News, Urban Design on 7th March 2009 by Tom Turner. If I had been to Columbus Indiana I think I would include the garden of the Miller house, though I do not know what I would delete from the list. So which is best: democracy or autocracy? – and would readers like to suggest changes to the list? This entry was posted in Garden Design, garden history, Historic garden restoration, Urban Design on 4th March 2009 by Tom Turner. BBC4 is showing a series of programmes about Sissinghurst Castle Garden. Here is a link to the first episode on the iPlayer – the link will not be active for long and there is a link to a BBC Sissinghurst webpage. Adam Nicholson and Sarah Raven live in the family house, because Adam is Vita’s grandson, but Adam’s father (Nigel Nicholson) gave the property to the National Trust. The programme presents Adam and Sarah as enlightened visionaries able to understand the past and present. But the National Trust staff are presented as obstinate blockheads able to say little more than ‘This is the way we do it because this is the way we have always done it and this it the way we will continue to do it’. Since the series runs to 8 episodes one can’t help wondering it the editing has been done for dramatic effect. Unless the National Trust Blockheads are going to be seduced by sweet reason, the series is going to end up portraying the Trust as a disorganised rabble which leaves decisions to junior staff. Sissinghurst gives me the impression of being too commercial and of having too many visitors. It this is what the National Trust wants, they should avoid the cowpats Adam wants to bring back as an aspect of traditional farming. The BBC slipped in the titbit that Vita had over 50 lesbian lovers and the Independent (28.2.09) refers to ‘the site’s fascination for today’s educated lesbians’. Adam predicts that ‘By Easter, there will be rivers of lesbians coming through the gates’. It would be useful to know whether the return of traditional farming practices (‘cowpats’) would attract or repel the lesbians, and where Adam stands on the lesbian issue. I look forward to Sissinghurst holding its first Gay Pride day. As they say, ‘history repeats itself as farce’. This entry was posted in Garden Design, Garden travel and tours, Garden Visiting, national trust gardens, News, public art, Public parks, Sustainable design, Urban Design on 1st March 2009 by Tom Turner.